Toronto’s The Film Farm is among the prodcos attached to Brian De Palma’s upcoming project LIGHTS OUT, a China/U.S./Canada copro to be shot in Toronto in 2016. An internationally acclaimed director, De Palma (SCARFACE, THE UNTOUCHABLES, REDACTED, MISSION:IMPOSSIBLE; CARRIE) was awarded the prestigious Jaeger-LeCoultre Glory to the Filmmaker award at the 2015 Venice Film Festival; DE PALMA, a documentary about Mr. De Palma’s four decade career in movies, played to full houses with standing ovations and rave reviews. Huace Media Group, one of China’s top publicly traded Film/TV financing and production companies, is working with Easternlight to package the film that is currently in pre-production and is undergoing an impressive casting process. LIGHTS OUT tells the story of a blind Chinese girl unknowingly caught in a plot to expose a top-secret assassination program. Destined to become a feminist icon for the ages, LIN SHEN raises unsettling questions about government secrecy and what can and can’t be seen – while keeping audiences on the edge of their seats. Casting is currently underway for top roles, including with an A-list Chinese actress to star as the female action hero lead. LIGHTS OUT will be produced by Huace Media Group, Gary Hamilton, Ying Ye, Mike Gabrawy, Elliot Tong with Toronto-based Jennifer Weiss and Simone Urdl of The Film Farm. Take a look at the new poster for The Captive, opening in theaters September 5th, 2014! We also have a new Canadian trailer here! A record three films by Canadian directors — David Cronenberg, Atom Egoyan and Xavier Dolan — will compete next month for the Palme d’Or. 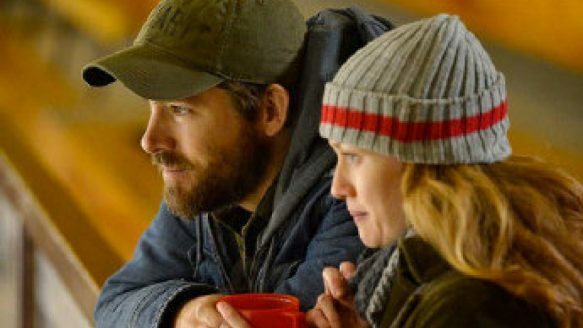 Ryan Reynolds and Mireille Enos star in Atom Egoyan’s The Captive. The maple leaf will be flying high over the palm trees at next month’s Cannes Film Festival (May 14-25). A record three films by Canadian directors — David Cronenberg’s Maps to the Stars, Atom Egoyan’s The Captive and Xavier Dolan’s Mommy — will compete against 15 other films for the Palme d’Or at the 67th edition of the annual celebration of cinema on the French Riviera.